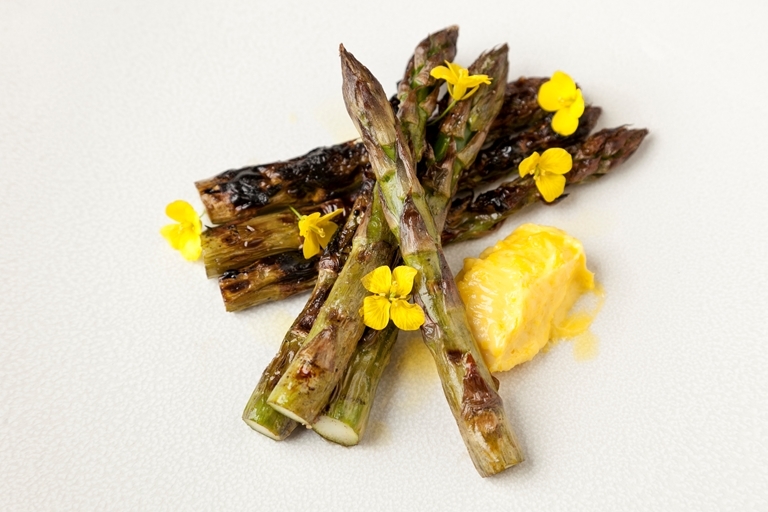 This simple barbecued asparagus recipe from Galton Blackiston makes a great vegetarian option. Serve these chargrilled spears with a delicate rapeseed oil mayonnaise. If you haven't got the barbecue out, you can achieve a similar result in either a griddle pan or by placing the asparagus under the grill. Serve alongside some other great British summer recipes.